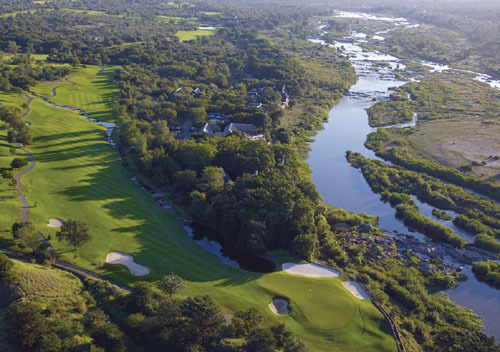 "A panoramic 9 day golf sojourn through South Africa encompassing some of the best golf courses South Africa has to offer. This journey is also suitable for non-golfers." 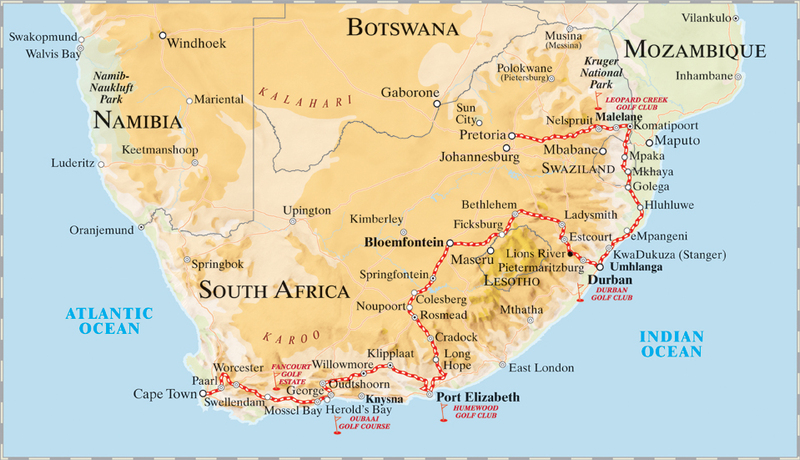 This unique 9 day itinerary starts at Rovos Rail’s Capital Park Station in Pretoria, and ends in the beautiful and varied Cape Town – South Africa’s “Mother City”. Although offered as a Golfing itinerary of note, it is also a very attractive journey for non-Golfers too! The first part of this wonderful journey takes you along the majestic escarpment of the Drakensberg Mountains, en route to the Lowveld of Mpumalanga. Your first morning sees the Golfers teeing off at one of the finest courses in South Africa’s - Leopard Creek. For those not indulging in Golf, enjoy a game drive in the world-renowned Kruger Park; which is followed by lunch and a game drive in neighbouring Swaziland’s Mkhaya Reserve. During the night, the train continues south to Hluhluwe, Africa’s oldest game reserve. After enjoying a scenic early morning game drive, your train journey continues on through the lush cane fields and rolling hills of KwaZulu-Natal and onwards to Durban. 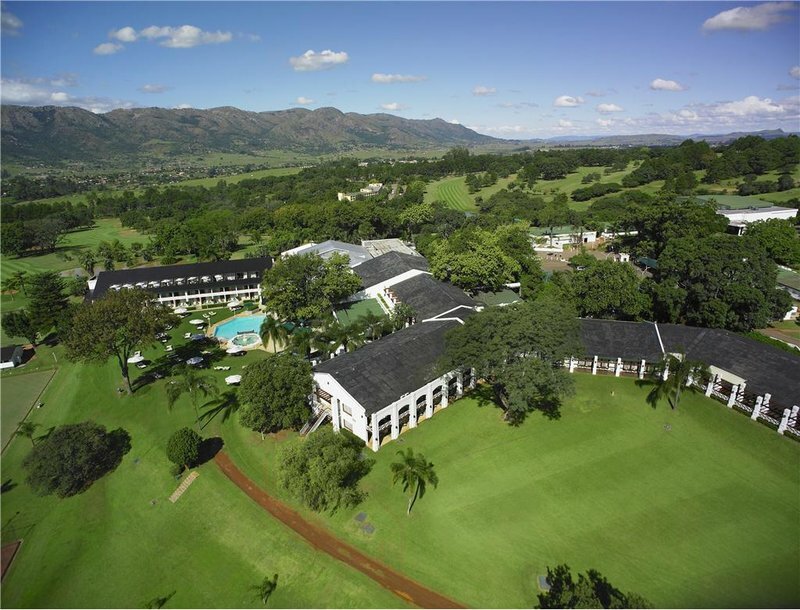 For the Golfers, your new day starts with an early morning tee off at Durban Beachwood Country Club, which is followed by a drive through the scenically splendid Valley of a Thousand Hills, where you re-join the train. The non-golfers enjoy a morning visit to fascinating Ardmore Ceramics Gallery. Everyone joins up for lunch on the train, with an afternoon at leisure, as you travel to the town of Bloemfontein – with the route taking you past Lesotho and the highest mountains of the Drakensberg range - some 3 482 metres above sea level. Enjoy a morning tour of Bloemfontein after which you journey continues overnight to the coastal town of Port Elizabeth. Here the non-golfers get to enjoy the ecologically diverse Addo Elephant Park whilst the golfers get to experience the Humewood course. There is an early departure which takes you to an ostrich farm in Oudtshoorn, and from there you enjoy some more wonderful scenery, as you descend the Montagu Pass to the historic town of George. Golfers get to enjoy an afternoon game at the well-known Fancourt Estate before they join the non-golfers for dinner at Fancourt. Your next morning is spent on a visit to the lovely town of Knysna, with its wonderful views, and excellent golfing opportunities – where the golfers get to play at Oubaai – the first of Ernie Els’ signature courses in South Africa. The train then continues its wonderful itinerary along the world-renowned Garden Route as it heads towards the Cape Winelands. 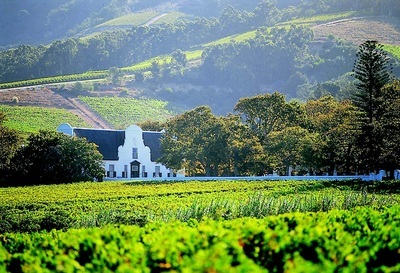 Your last morning on Safari is spent on a visit to the KWV Brandy Distillery in Worcester (you also have the choice of wine tasting in Ashton), before your journey ends at Platform 23 of Cape Town Station…where you continue with your holiday arrangements. 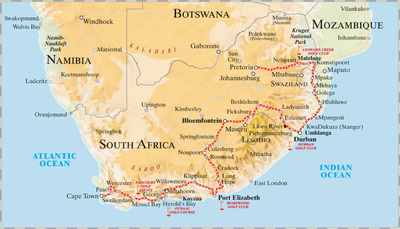 Pretoria to Cape Town: 1 - 9 Nov.
Cape Town to Pretoria: 14 - 22 Nov. Meals, all alcoholic and other beverages, 24-hour full room service and limited laundry while on board the train, as well as excursions accompanied by a qualified tour guide (where applicable) and government tax. Golf activities: green fees, carts, halfway house and beverages. 09h00 Check-in at Rovos Rail Station in Pretoria for departure at 10h00. Lunch and dinner are served as the train travels east towards Mpumalanga. 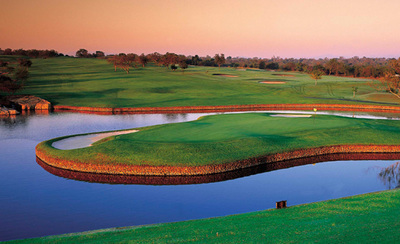 Golfers: 09h00 Tee off at Leopard Creek near Kruger with lunch. 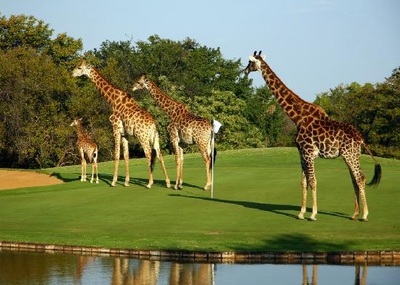 Non-golfers: 08h00 Game drive in the Kruger Park with lunch. 17h00 Rejoin the train at Komatipoort and depart for Zululand. 09h30 Game drive in the Hluhluwe Reserve in Zululand. 13h00 Lunch is served as the train travels south alongside the St Lucia Wetland Park to Durban for the overnight stop. Golfers: 08h00 Tee off at Durban Country Club. After lunch, enjoy a one-hour scenic drive along the Midlands Meander to join the train at Lions River. Non-golfers: 08h00 Disembark for a short city tour of Durban. 10h00 Traverse the Valley of a Thousand Hills to Ardmore Ceramics for a two-hour afternoon visit. 16h00 Return to the train for dinner and overnight. Traverse the Drakensberg. 09h00 Disembark for a city tour of Bloemfontein. 13h00 Travel to Coerney/Alicedale across the Drakensberg Mountains. 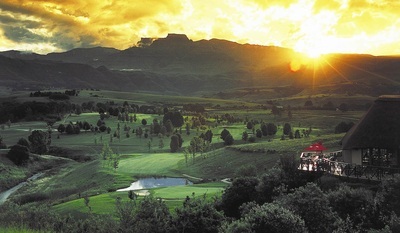 Golfers: 07h00 One-hour transfer from Alicedale to Humewood Course. Enjoy a game and lunch before joining the train in Port Elizabeth. Non-golfers: 08h00 Game drive at Addo Elephant Park. 11h30 Rejoin the train and depart for Port Elizabeth. 14h15 Experience the train being turned around then depart for Oudtshoorn via Willowmore. Golfers: 07h00 Arrive Oudtshoorn. Transfer to George along Montagu Pass. 10h30 Tee off at Fancourt followed by dinner at the estate. Non-golfers: 09h00 Two-hour ostrich-farm visit in Oudtshoorn. Traverse the Montagu Pass to George. Golfers: 07h00 Transfer to Ernie Els Oubaai for tee off at 08h00. Non-golfers: 08h00 Morning at leisure in Knysna or ferry ride to Featherbed. 13h00 Depart George and travel along the Garden Route via the Outeniqua Mountains to the coast for Riversdale. 12h45 Two-hour tour of the KWV Brandy Distillery, Worcester. 09h20 Depart from Platform 23 at Cape Town Station. 16h00 Arrive in Ashton for a wine tasting at Zandvliet Estate. Travel the spectacular Garden Route towards George. Golfers: 10h00 Arrive in George. Transfer to Fancourt for tee off at 11h00. Non-golfers: 10h00 Morning at leisure in Knysna or ferry ride to Featherbed. Return to train at 16h00. Golfers: 07h30 Tee off at Ernie Els Oubaai Golf Club. 13h00 Transfer to Oudtshoorn. Enjoy lunch on board as the train travels the Outeniqua Mountains to Port Elizabeth. Non-golfers: 08h00 Depart George and travel to Oudtshoorn. 11h00 Enjoy a visit to an ostrich farm. 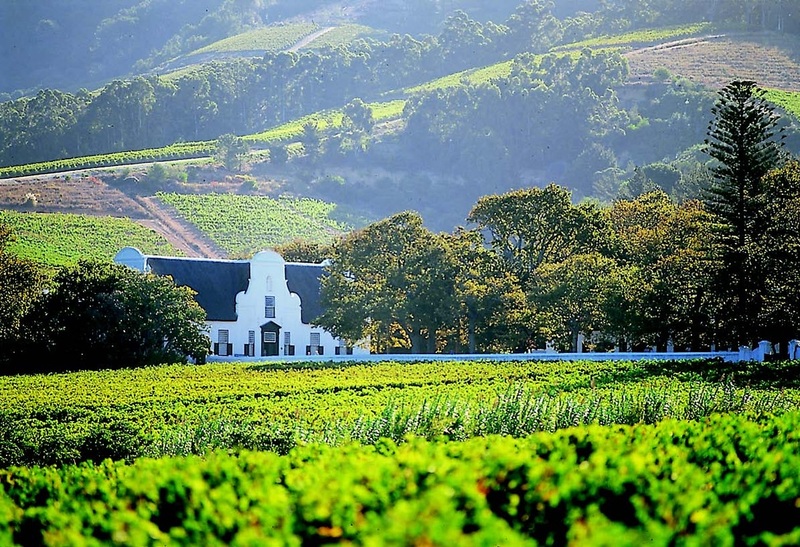 Traverse the Outeniqua Mountains to Port Elizabeth. Golfers: 07h30 Tee off at Humewood Golf Course in Port Elizabeth. 13h00 Transfer to Coerney to join train. Non-golfers: 08h30 Game drive in the Addo Elephant Park. 13h00 Depart for Rosmead and traverse the Fish River Valley through the Drakensberg Mountains. 14h00 Travel the Drakensberg to Bloemfontein for a city tour. 17h30 Travel the border of Lesotho’s mountain kingdom and descend the escarpment via Bethlehem to Ladysmith. Golfers: Traverse the Valley of a Thousand Hills to Lions River. Transfer to Durban Country Club for lunchtime tee off. Join train in Durban at 17h00. Non-golfers: 15h00 Disembark in Durban for an afternoon city tour. 19h30 Enjoy dinner as the train travels to Swaziland. 15h00 Game drive at Mkhaya Reserve in Swaziland. 18h00 Travel north to Komatipoort, South Africa. 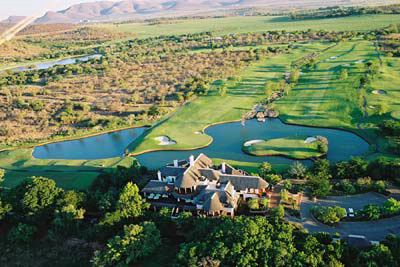 Golfers: Transfer to Leopard Creek (dependent) for a morning tee off. Non-golfers: 08h00 Game drive in the Kruger Park with brunch. 15h00 Travel across the Drakensberg Mountains to Waterval Onder for the overnight stop. 07h00 The train descends the escarpment to the farming and coal-mining areas of the Highveld. 15h00 Arrive at journey’s end at Rovos Rail Station, Pretoria.